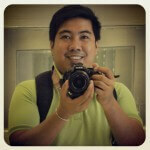 I EXPECTED that it would be different when you attend an out-of-town trip as the club adviser. I expected that FUN would be the last adjective you’d think of to describe the experience. Of course, you wouldn’t only be thinking about ensuring that the objectives of the activity are attained, you would also be concerned about the students’ safety and security. But our trip to Sitio Flume last Saturday proved me wrong. Sitio Flume is part of Barangay Datal Tampal in the municipality of Malungon, Sarangani Province that is populated by B’laans, a local tribe. Their major source of income there is farming and they are cultivating even the hilly part of the place. Through the help of the Provincial Social Welfare and Development Officer of Sarangani, Hermelo Latoja, the Interact Club of our school decided to conduct a community outreach activity at a Day Care Center there. It was an honor for us that Mr. Latoja joined us in our activity. With Jesson Roy Gadiano and Jenny Latoja in the lead, the club was able to solicit toothbrushes,sachets of toothpaste, and packs of germicidal soap from the students. The Rotary Club of Greater General Santos also pitched in boxes of used clothing. 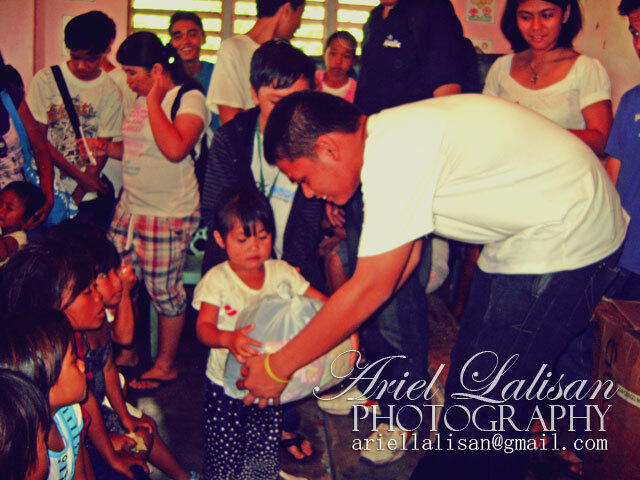 The collected goods were packed into 52 gift packs, which we delivered to the kids of Sitio Flume. All of the Interactors wanted to go to Sitio Flume but we had to chose only 25 of them so that transportation and safety would not be much of a problem. The officers arranged the transportation. They only had to hire one van because two of the officers volunteered their pickup trucks. Everyone was excited early morning last Saturday, January 29. After making sure that everything was set, we jumped off from our assembly area and proceeded to Barangay Malandag to pickup the cauldron of hot arroz caldo prepared by one of the officers. 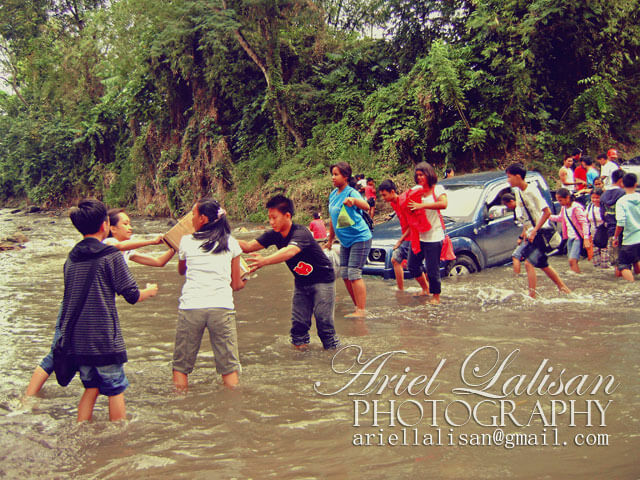 When we reached the area, we had to cross a river and there happened what I never wished to happen. One of the pickup trucks got stuck in the water. 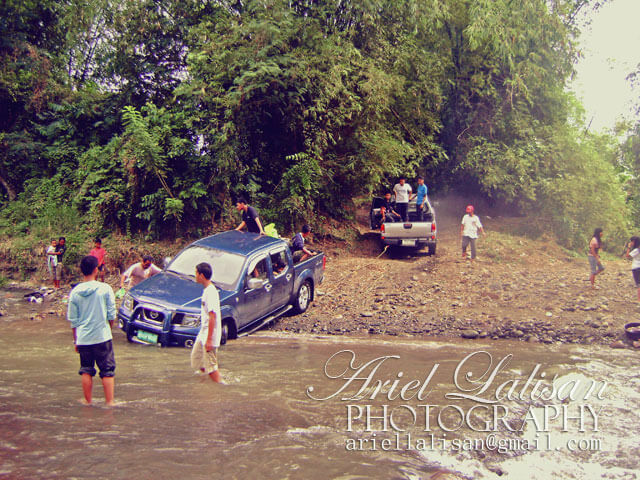 We secured the good first and the boys had to descend into the water to help get the truck out of the river. But it was all in vain. Luckily, Mr. Latoja also heads the Provincial Disaster Coordinating Council and he has a lot of experiences when it comes to rescuing. He expertly hitched a cable to the rear bumpers of the trucks and had his own pickup pull the other pickup and that saved the day. We did not waste time. We started the program right away. After the introductions, we had a short storytelling. 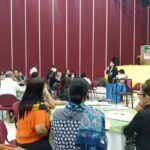 The assigned storytellers expected to deliver the story in Filipino but the little kids would have a difficulty understanding the story if it were delivered in Filipino. 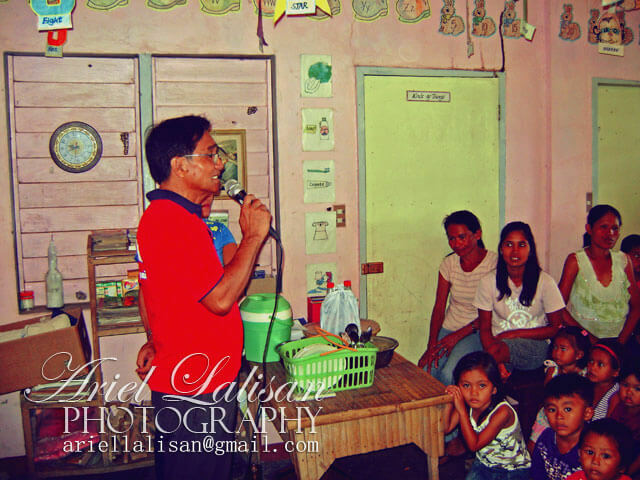 Last resort, I did the storytelling… in Cebuano. We bribed the kids just so that they would listen. To ensure participation, we gave prizes to those who answered our questions. The kids of Flume also showcased their talents. They prepared an intermission number for us. Did they look so cute when they danced! 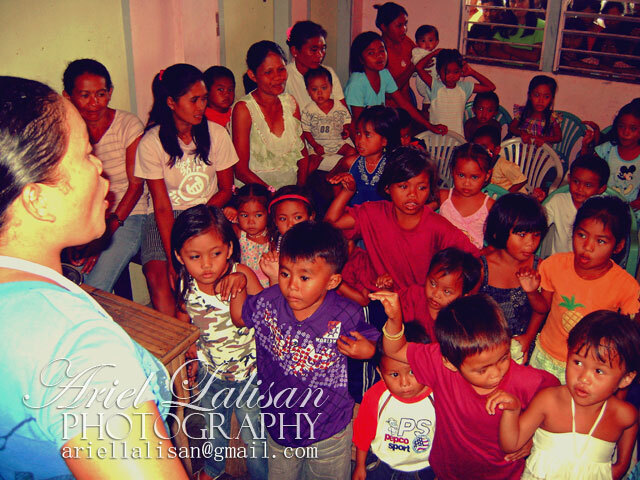 We planned to teach them proper hand washing and bushing of teeth. The problem was that there was not enough water. One had to go down to the river to get water. You see, we were up a hill where water was difficult. Good thing, one of the mothers brought in a basin and a pail of water. So, we just made do with it and all of the kids were able to wash their hands, singing the Happy Birthday song. Feeding came next and everyone enjoyed the hot arroz caldo. The locals also prepared puto for us so it was like an exchange of food. 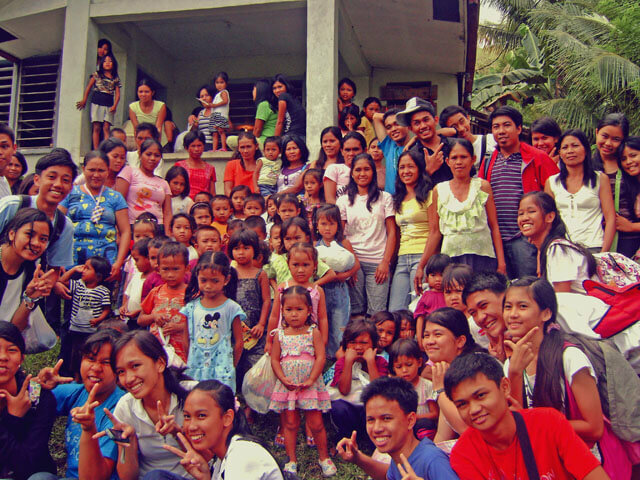 We distributed the packages to the kids afterwards. We also had special packages for the Day Care Center. We enjoyed looking at Jesson acting like Santa Claus. It really felt like Christmas in January. Before going home, we enjoyed boiled bananas dipped in bagoong (fish paste). We went home with our hearts — and stomachs — filled.